Female Fighters alters the face of the urban landscape. 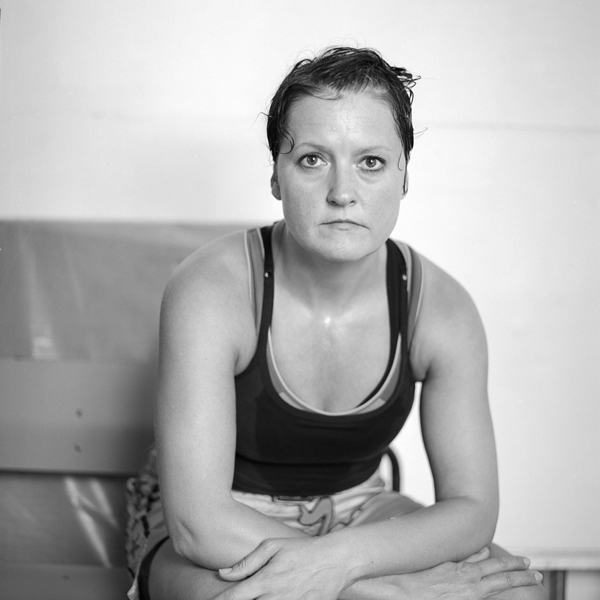 A year-long project documenting female kick-boxers culminates in a city-wide campaign installation. In addition to two exhibition venues, the poster campaign utilises the streets to display 20 portraits for passers-by to encounter. The interface between artist, participant and audience becomes intermingled creating different levels of engagement. A compelling set of portraits of female kick-boxers is presented along with multimedia installations that challenge common representations of women, offering insights into their multi-layered lives. "there's a lot of pressure on women to look a certain way. 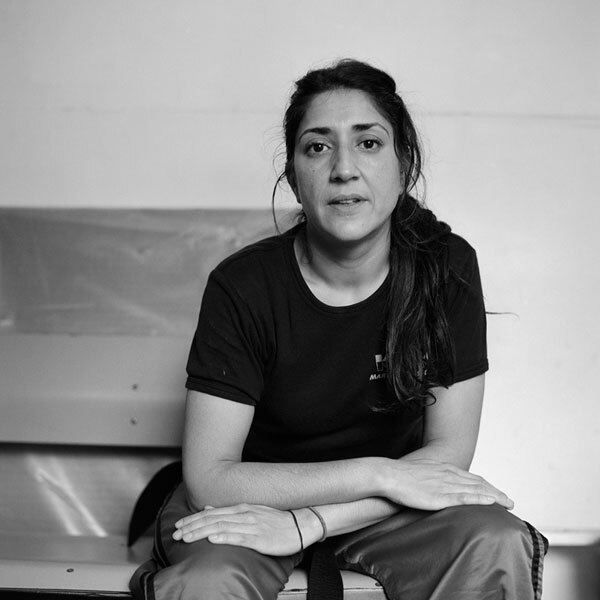 Kickboxing makes me focus on what my body can do, not what it can't"
"It's about confidence, self respect, it's about control, respecting other people, it's about all of those things"
"that's all I really want to do when I step into the ring is to win"
To find 20 Female Fighters portraits across the city. Female Fighters portrait photographs are on display at Sundial Clinic using window spaces viewable from the street and wall spaces. Female Fighters Multimedia Installations are exhibited at Brighton Media Centre Gallery. 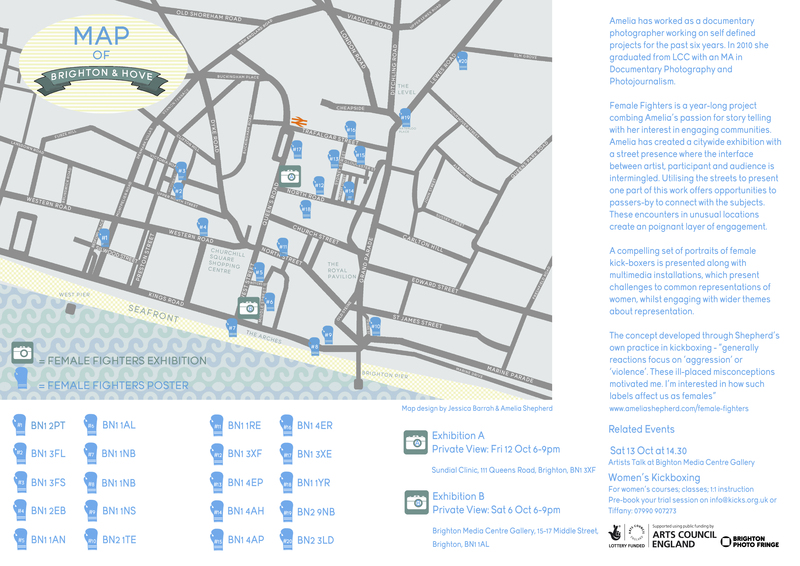 *In association with ArtsFORUM 2:0 exhibition.